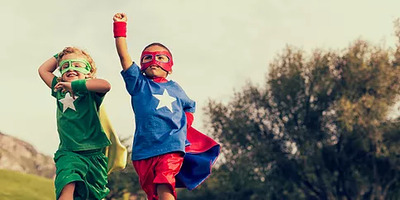 People have been talking about confidence and how it affects the overall personality of a child and what parents can do to make their children confident individuals. So, what does 'confidence' mean? It is nothing but a way in which you can make your child feel that they have the ability to achieve what they desire. Confidence and trust are the two sides of the same coin; both play an essential role in developing self-esteem in children. Every child is unique and their uniqueness comes from the environment which nurtures their overall personality. Parents are the first teachers and role model for a child; they are the one who undertakes the task of shaping their entire personality and instilling confidence. A confident child has the ability to learn more and attain more, they are also considered to be happy lots compared to a child suffering from low confidence. So, what parents need to do to achieve the complex task of confidence building? 1) Shower love- Parents love their children from the bottom of their heart and truly it’s the most important feeling the child nurtures throughout its life. Always make your child feel loved, this emotion will make them realize that they are being valued and cared for. A loving family, friends, and society are what makes a person feel happy and confident. If a situation arises when you have ignored or scolded the child, say sorry and make the child realize that you still love them. There is no substitute for unconditional love and a strong base of confidence is built on that. 2) Be a role model- Children imitate from people around them, they pick up their language, thought process and behavior. Parents need to showcase confidence in their behavior and encourage children to follow the same. Instead of discouraging them to take up a new task, motivate them to try new things and complete the task. Uses of words like “You can do it “, can work wonders in building confidence in children and boosting their morale. 3) Applaud them- Who doesn’t like being complimented. Children also look up to their parents for commendation, when a task is well achieved. The praise makes them develop a sense of worthiness, which builds up their confidence levels. Here, the parents need to be careful also, unrealistic praise or too much praise can make the child over confident which can affect the thought process of the child. 4) Handling setbacks- Parents are the ones who can teach children the theory of “Failures is the pillars to success”. Whether it's sports or academics children might not achieve desired outcomes and feel low about the same. It is vital to teach them that you can’t be successful in everything and failures are part of life. The mantra lies in trying rather than giving up. Help the child in realizing that there is no need to feel bad about the failure, the hurdles in life are teachings which subsequently can be used to achieve success. This way the child will feel more confident and will be proud of its accomplishments in the future. 5) Give them independence- It is good to be protective about your child, but occasionally giving them the freedom to try out new things like day trips, excursions, with classmates and friends will broaden their horizon and the ability to figure out things independently. The safety issues, although needs to be addressed. The children who are self-confident are open to trying out new things and never fear failure. The sense of adventure will give those new learning experiences and confidence. 6) Discipline your home- Every house has certain rules that are followed by one and all in the family. Children might feel that the rules are strict, but gradually they will come to know what is acceptable and what is unacceptable in the family. The discipline in the house will make the child develop a sense of security and confidence and in the future, the child will become more responsible. 7) Reality check- Children often set unrealistic goals for themselves, which when not achieved, shatters their confidence level. Parents are the one who knows the caliber of their children. Guiding your child to lay down realistic goals for oneself will save the child from a lot of distress and make the child aware of its strength and weakness. The focus should primarily be on improvement rather than winning. 8) Help at hand- Children are most comfortable when they are in a secure environment and in the company of their most beloved people- their parents. Carrying out different household activity together like asking them to help in the kitchen, setting the table or baking a cake helps them in building their competency which boosts their confidence levels. The feeling of contribution boosts their self-esteem and makes them feel valuable and happy. Children are quick learners and when their learning takes place in a healthy environment, they turn out to be the most confident individuals who are ready to face any challenges with minimal support. PlanetSpark is a highly engaging and powerful after school learning program for Kids that makes every child fall in love with learning by providing great learning experiences, qualified teachers and an enabling and fun environment to learn and master concepts. Book your FREE DEMO class today! If you are a homemaker click here to apply as a PlanetSpark Teacher Partner.